Charlie Brown's Christmas Tree Just $8.50! Down From $15! You are here: Home / Great Deals / Christmas Deals / Charlie Brown’s Christmas Tree Just $8.50! Down From $15! 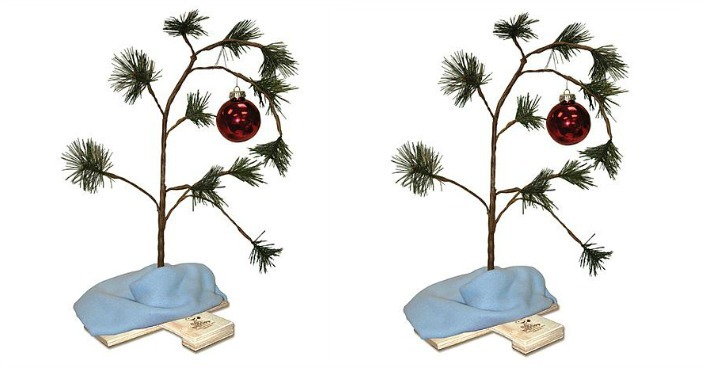 Charlie Brown’s Christmas Tree Just $8.50! Down From $15! Sears has this Charlie Brown’s Christmas Tree on sale for just $9.44 (Reg. $15) but you can get an extra 25% off when you use promo code CYBER, making it only $8.50! Plus you can get FREE shipping on orders over $30 or FREE in-store pickup.